For a while now I’ve been calling the Nevada Senate race tied. Before the primary, Repbublican Sharron Angle led comfortably. Right after the primary, Democrat Harry Reid won 9 of 10 polls. 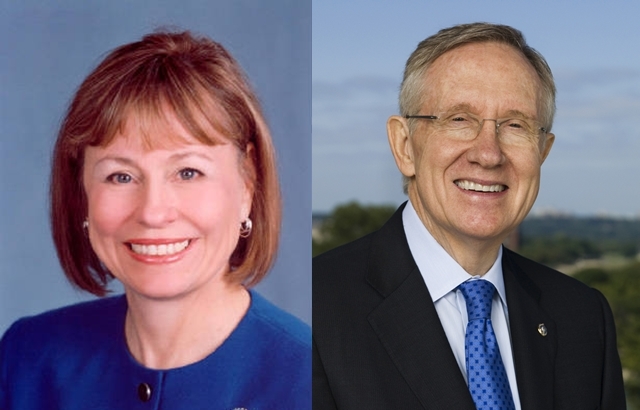 Then came a stretch of polls in the last few weeks of September which included 3 Reid leads, 3 Angle leads, and 2 ties. That was what I easily called a tied race. But now we’re in a new era of the race, and I’m pretty comfortable in saying Sharron Angle has taken a slight edge. It’s still a tight race, make no mistake. A result like Rasmussen’s newest at Angle 50, Reid 47 (MoE 4) only marks the race a 64/[36, ghastly typo] split, so by itself it’s not indicative of a trend. But Angle has now led 7 of the 9 polls in October, a distinct difference from that rollercoaster September. Angle’s not a head by a large amount, but it’s clear to me she’s ahead. That could definitely go either way though, as I expect big money to go into this state from both sides this month.